The rough diamonds recovered, tendered, and sold during the period were from the processing of material being completed as part of the testing, commissioning, and calibration work underway on the newly expanded facilities at its Krone-Endora at Venetia project in South Africa. The company previously sold 3,265.07 carats of rough diamonds for $702,635, resulting in an average price of $215.20 per carat in May, in April sold 2,900.62 carats of rough for $810,1066, resulting in an average price of $279.29 per carat. For the quarter as a whole, the miner sold 8,318.82 carats for $1.85 million with an average price per carat of $222.52. The first fiscal quarter rough diamond tender and sales of 8,318.82 carats represents an approximate 38 percent decrease on the 13,384.72 carats sold the year before. "The reduction was due to limited processing completed as compared to the same period during the prior fiscal year given the testing, commissioning, and calibration work being undertaken in the current year's period. However, despite the 38 percent decrease in total carats sold during the current fiscal quarter, the company achieved gross revenues of $1,851,122.55, only a 3 percent decrease when compared to revenues of $1,905,978.44, realized during the same period in the prior fiscal year. 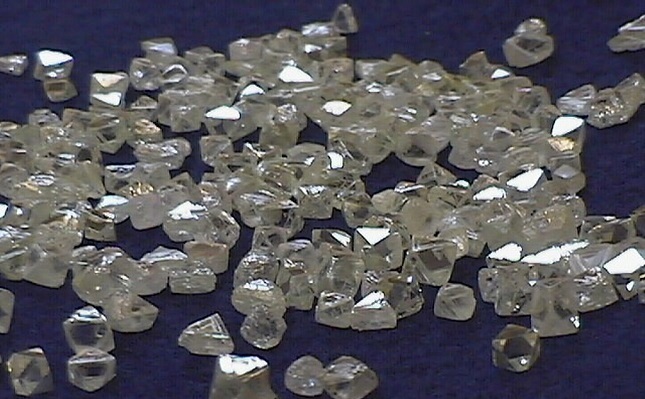 The average dollar per carat of $222.52, from the processing of material in the +1.0mm to -45mm size fractions through the Project's newly expanded facilities in the first fiscal quarter, represents a 56 percent increase as compared to an average dollar per carat of $142.40, for the same period in the previous fiscal year when the facilities processed only materials in the +1.0mm to -26mm size fractions," the firm said. Rough diamonds delivered, tendered and sold in the current period were the result of rough diamonds recovered prior to May 25. Rough diamonds recovered after May 25 and until June 30 will be recorded as rough diamond inventory on-hand for the first fiscal quarter ending June 30, it added.